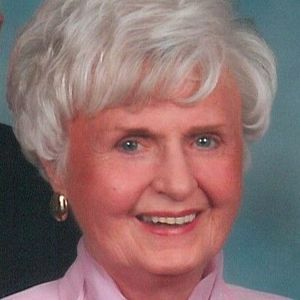 Bernadine "Bernie" McMahon (nee Baughman) 83 of Avon , OH passed away Monday, April 8, 2019. She was born to parents Albert and Catherine (nee Shal) Baughman on August 21, 1935 in Connellsville, PA.
Bernie was a graduate of St. Mary's of the Spring's, Columbus, OH where she received her Bachelors in Education. She was married to the love of her life, Kenneth for 59 years. Bernie was a member and past president of Altrusa International of Lorain County; member of Lakeland Women's Club, Antique and Collectables Club, Fine Arts Club and the Wimodaughsis Club. She was the past president of the former Auxiliary to the Lorain County Dental Society and the Women's Auxiliary to the Ohio Dental Association. She is survived by her beloved husband Kenneth; loving children Ken (Barbara) McMahon, Bob McMahon, Brian (Jill) McMahon and Karin (Marc) McNulty; dear grandchildren Kevin, Karl, Jonathan, Erin, Laurin and Karoline; siblings Roger Baughman (Sally), Alyce (Jon) Schneider, Carol (Richard) Rango, Phyllis (Roger) Edler and Mark (Gretchen) Bachmann. She is preceded in death by her parents Albert and Catherine (nee Shal) Baughman. In lieu of flowers, memorial contributions may be forwarded to the American Heart Association 1689E. 115th St., Cleveland, OH 44106. Add your thoughts, prayers or a condolence to Bernadine's guestbook.